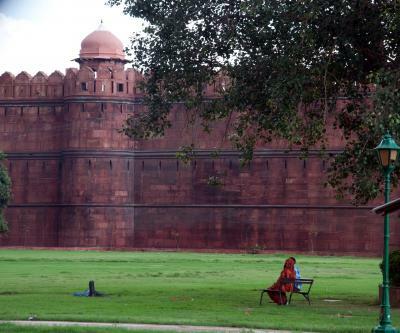 New Delhi, April 16 (IANS) It was a pleasant Tuesday morning in the national capital with the minimum temperature dropping five notches to 20.5 degrees Celsius due to light rains and thunderstorm during the night. On Monday, the minimum temperature was recorded at 25.5 degrees Celsius, five notches above the season's average. The weather office said the drop in temperature was due to the showers during the night and that rainfall recorded till 8 a.m. was 1.1 mm. It added that there might be light rain on Tuesday as well, accompanied by hail or squall with wind speeds up to 60-70 km per hour. "There would be generally cloudy sky with possibility of dust storm and thunderstorm with light rain accompanied with squall. The maximum temperature is expected to be around 35 degrees Celsius," an India Meteorological Department official told IANS. This means a drop in the maximum temperature by five notches as well over Monday when it was recorded at 40 degrees Celsius, three notches above the season's average.